Multijoint exercises recruit large amount of muscles and stressing the body with big increases in epinephrine and norepinephrine levels. 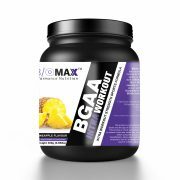 These two hormones raise blood glucose and are important for increases in force production, muscle contraction rate and energy production, allowing you to push heavier weights. By lifting heavier weights you increase your growth hormone levels and testosterone production. TIP: Start your training with Olympic Multijoint movements to elicit greater muscle gains. When you train use 2-6 sets than 1 single set. A meta-analysis by Krieger JW, 2010 observed that multiple sets are associated with 40% greater hypertrophy than 1 set, in both trained and untrained subjects. Research suggest for increases in muscle hypertrophy to stay between the range of 6-12 reps. If you make 3-5 repetitions you will have strength, power gains and for 15+ you will have endurance benefits. TIP: For best mass gains work at 70-85% of 1RM. Muscles are in bigger metabolic stress when using slower bar speeds. When muscles stay for a longer period of time under tension and pressure they become bigger. Keep a slow steady state speed during your workout. Split your workout routine at 4 times per week. Begin with a hard day of upper body workout followed by an easy day of lower body. Take a day off and start with an easy day of upper body workout followed by a hard day of lower body. Take 2 days off and repeat next week with an increase of training volume by 5-10%. Body’s ability to adapt at training stimulus is very high. If you want to engage new muscle fibers you need to adjust program exercises. New exercises should apply once a month at training program to avoid adaption stimulus and have gains in mass and performance. 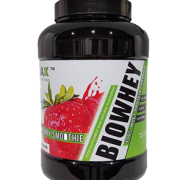 Immediately after training muscles have great anabolic activity and are in great need for protein consumption. By giving a fast digesting form of protein, like isolate protein, you minimize muscle damage and speed up muscle recovery and growth. 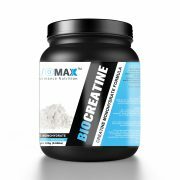 Research suggests that Creatine monohydrate is the best form of Creatine which leads to increases in lean body mass, strength, power and muscle diameter. TIP: Add 5gr to your post-workout shake for best mass gains. During night sleep our body is in catabolic state. When you consume before sleep a slow release protein, amino acids levels in blood stay elevated all night long. 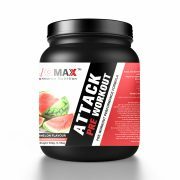 By keeping body in anabolic state you maximize protein synthesis and muscle mass. Recovery plays a major role on muscle development and growth. Muscles regenerate and become bigger during recovery phase. If you aren’t sleeping enough at night, your body can’t repair muscle damage effectively. Sleep, balanced nutrition and hard training is the key of success for increases in lean body mass. No Pain, No Gain. Be patient. If you want to get your training and muscle mass to the next level, you should be patient. Do not harry up. Muscle development takes a lot of time. You should spend many hours every week in the gym, take care of your nutrition and lift a lot of heavy weights. Be patient and after a while the results will be astonishing!! 1) Kraemer, W.J., & Ratamess, N.A. 2005. Hormonal responses and adaptations to resistance exercise and training. Sports Medicine, 35 (4), 339–61. 2) Krieger JW1, 2010. Single vs. multiple sets of resistance exercise for muscle hypertrophy: a meta-analysis. J Strength Cond Res. 24 (4), 1150-9. 5) Robert Cooper, 2012. 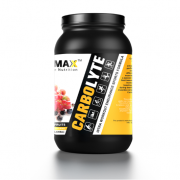 Creatine supplementation with specific view to exercise/sports performance: an update. J Int Soc Sports Nutr. 2012; 9: 33.